If technology remains ubiquitous today, the areas in which companies can earn money from it appear to be very scarce. Thus far in 2017, only a handful of sectors are reliable for generating profitable financials: AI, the cloud, streaming video and mobile advertising. Google parent, Alphabet is deep into each of the four markets. It is not the leader in each one, as it trails behind Microsoft and Amazon for the cloud, but has been relying on mixing the areas to maintain its revenue growing each year by over 20%. For a company worth $680 billion, that equates to revenue growth of more than $100 billion, which is unusually strong for growth rates. 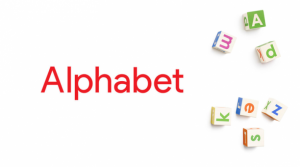 Alphabet announced that its revenue was up 21% to end the second quarter at $26 billion. During a call related to earnings with Wall Street analysts, Sundar Pichai the CEO and Ruth Porat the CFO presented evidence and bullish metrics to support the idea that Alphabet has a strong foothold in the four areas where tech is growing. Google’s revenue from advertising increased by 18% finishing the quarter at $22.6 billion, which was driven by a rise of 52% in paid clicks. However, ad revenue less costs for traffic-acquisition or TAC increased just 16%. In the video sector, Porat said that YouTube has been a strong contributor to growth in revenue, while CEO Pichai said that over 1.5 billion people visit the video site every month. YouTube has not reached the scale of Facebook’s users that are now at 2 billion, but has very strong video engagement. The other revenue at Google, which includes that of Google Play, hardware as well as the cloud business, increased by 42% during the quarter ending at $3.09 billion. New cloud deals for the just ended quarter were worth over $500 million which was tripled from the same period one year ago. The company has added new cloud regions for Singapore, Sydney and London. Alphabet has a hard time breaking out its artificial intelligence category’s revenue, Pichai said that Google’s focus it has for machine learning has driven growth in many of its other businesses. He added that the company rolled out new features of machine learning in YouTube, Google Maps, Google Photos and Gmail. It last revenue generator is moonshots, which is income from all non-Google business. The segment had revenue growth of 34% for the quarter or far less than 150% growth for the same period last year.